Registrations are open for the 2018 Human Brain Project Open Day, which will be held this year in Maastricht, the Netherlands. The Open Day is the biggest annual outreach event of the HBP, and presents work from the entire project to the interested public. 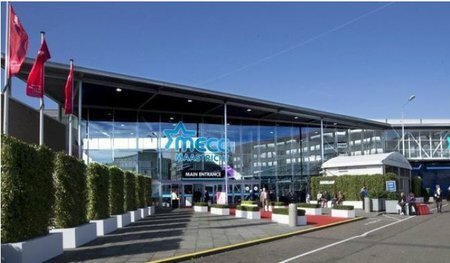 The event will be held at MEEC Convention Center Maastricht on October 15, 2018. You can find out more and register for the event here. The programme features exciting talks from HBP scientists and keynote lectures from special guests, as well as a dedicated exhibition. The event is free to attend and will give visitors an overview on how the HBP as a European Commission funded Flagship project works to realize synergies between neuroscience, brain medicine and technology developments like future computing, robotics and AI. Visitors can learn about the latest advances and scientific insights at the interactive Science Market. There, HBP members will present their work in the form of demos, allowing for example to explore the brain in virtual and augmented reality or to interact with smart robots. “We have prepared an exciting programme for everyone interested in how modern computing technologies enhance our understanding of the human brain and how this knowledge can be applied to develop new diagnostic and therapeutic tools for brain disorders”, said Rainer Goebel, founding director of the Maastricht Brain Imaging Centre (M-BIC), and host of the Open Day. Students can find out about the extensive HBP Education programme, and visitors from scientific and industrial communities can explore collaboration opportunities with experts from the Project. The event is organized in conjunction with the HBP Summit, the annual full assembly of the HBP Consortium, which unites around 500 scientists from 120 universities, teaching hospitals and research centres across Europe. Download the Open Day flyer including the programme! 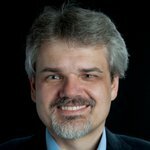 Prof. Rainer Goebel is an expert in neuroimaging and full professor for Cognitive Neuroscience at Maastricht University, Netherlands. He is founding director of the Maastricht Brain Imaging Centre (M-BIC) and the driving force of the recently established ultra-high field imaging center housing 3, 7 and 9.4 Tesla human MRI scanners. In the Human Brain Project he is contributing to the research area SP2 (Human Brain Organization) and the HBP Human Brain Atlas. He also heads the Co-Design Project 4 (CDP4) on visuo-motor integration.